This week’s challenge was to find something silver and miniature and then tell a story behind it. Now, I looked in my curio cabinets, I looked in with my china and my silverware, and I didn’t have anything silver and miniature. So then I looked at Finn. She had a little silver on her! I have already reported on Finn’s bling. 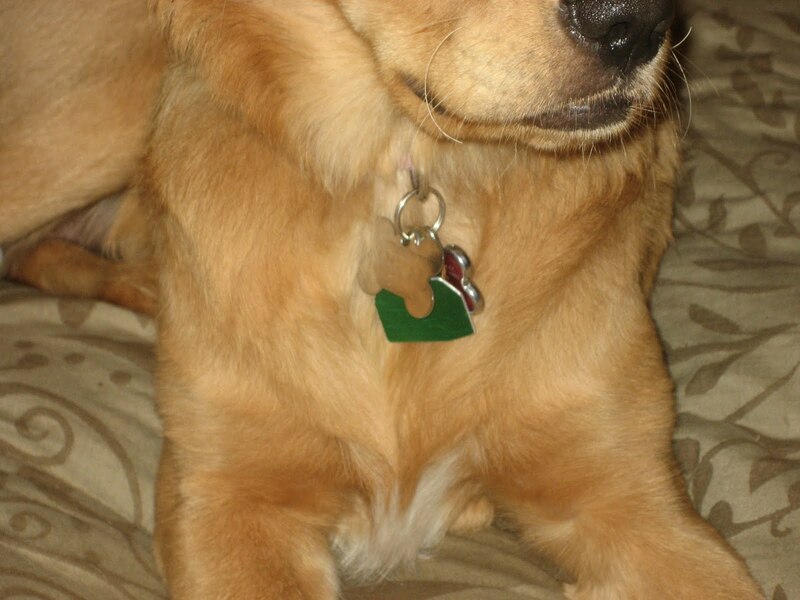 I couldn’t believe how much bling this gal was packing when she was a wee pup. But I like her name tag especially. 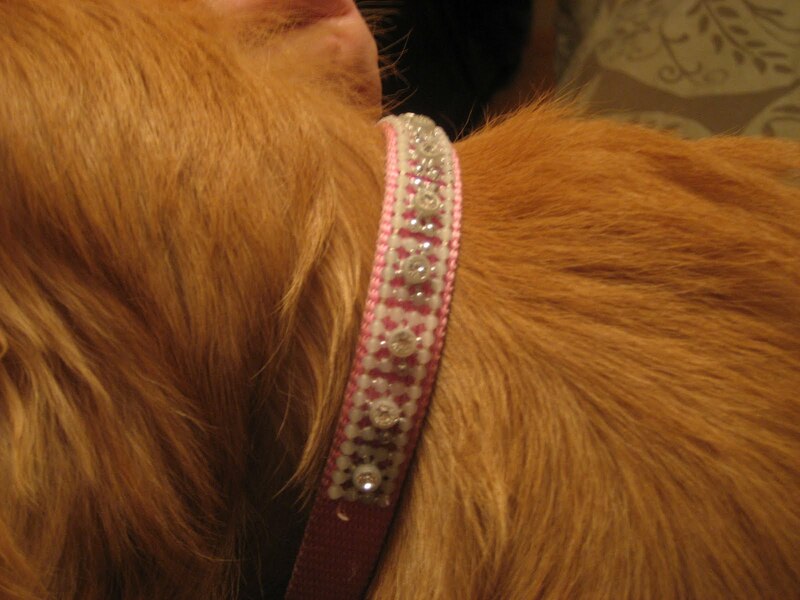 The fake rhinestones, the pink bone, she’s a little princess all right! And the story that goes along with it – – remember the first time you tried to put the collar on your dog? 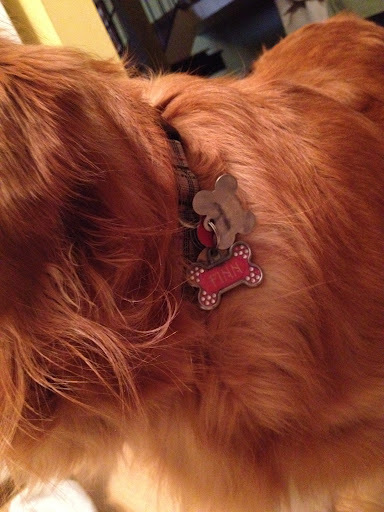 My husband would put it on Finn and she would go wild, trying to catch the bling in her mouth, try to wriggle out of it. It was funny. We would put it on, take it off, put it on.